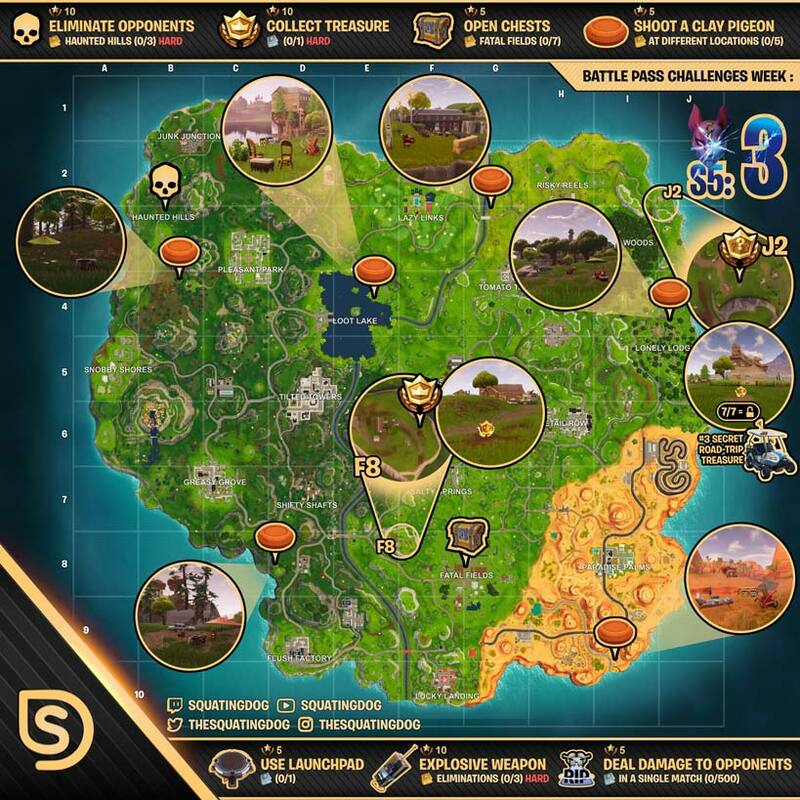 All of Season 5 week 3 battle pass challenges are now live, check out the all-inclusive cheat sheet below for all the locations! Explosive Weapon Eliminations – Should be straightforward enough, if you struggle use the down and not out tactic. Deal 500 damage to opponents in a single match – Could be tricky for some, if you are finding it a struggle get in 50 v 50 and load up on explosives! Eliminate Opponents (Haunted Hills) – Not very popular so aim to do it asap. Collect Treasure – Navigate to square F8!